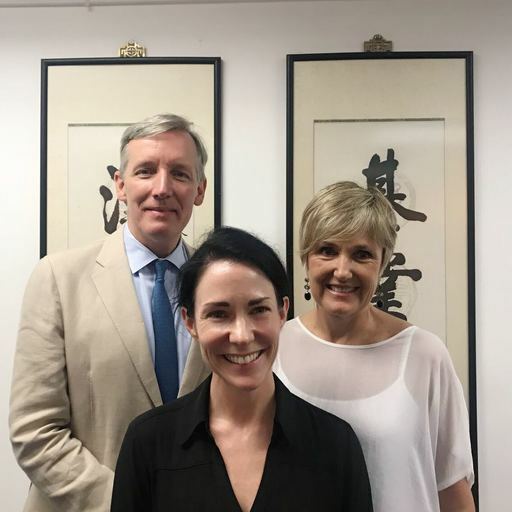 Starting in August 2018, Sean Lynch, Anne Gardon and Christine Doleman have opened a new chapter in CIS's 35-year history. 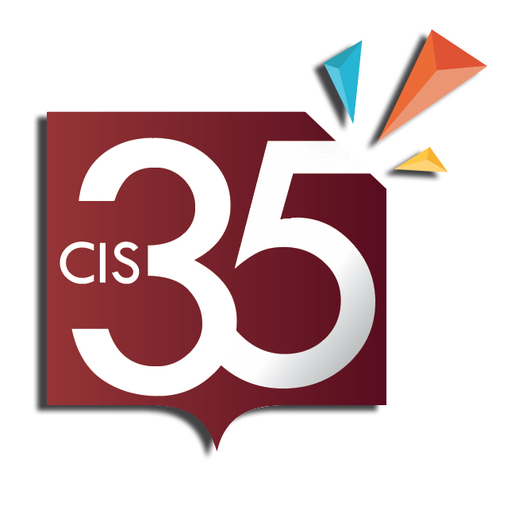 In 2018-19, CIS is celebrating its 35th anniversary. Read about our milestones to date. 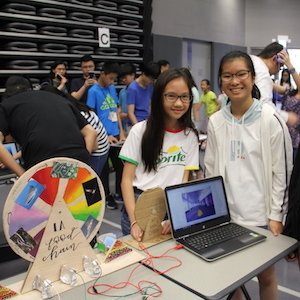 For a second year, CIS was pleased to collaborate with Massachusetts Institute of Technology (MIT) to run a groundbreaking STEAM Camp @CIS for two hundred students, aged 10 to 14, themed "Into the Water". 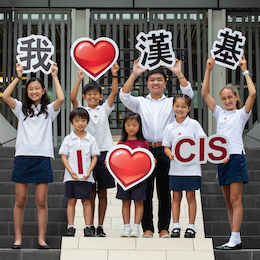 CIS is not just a school my kids attend to develop skills for a challenging world - but a community that I fully entrust with their education and wellbeing. What's the hardest seat in the house to secure? 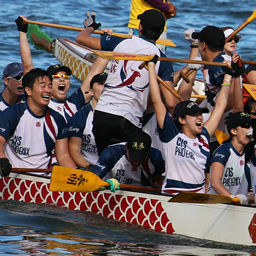 It could be a spot on the CIS Dragon Boat "A" team. Since 2006, our Alumni-Staff paddlers have become a force to reckon with, and there's stiff competition just getting a seat in the boat. Training's already well underway, so be sure to look out for us at this year's Stanley races as we strive to recapture our Mixed Gold Cup Championship title! 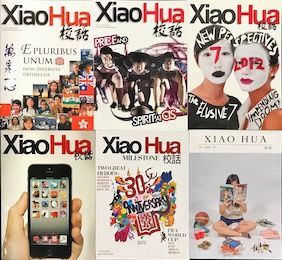 Well-read, thoughtful, nice-looking and bilingual...Let us introduce you to XiaoHua, our twice-yearly student magazine that has won kudos from the Columbia Scholastic Press Association. 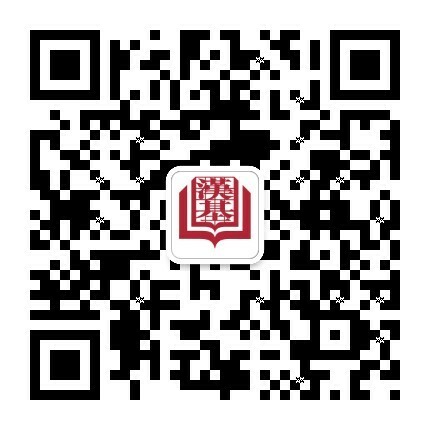 XiaoHua grew out of a Year 11 Personal Project and offers a lively window on campus life and student concerns. View it online or Contact Us for a hard copy. 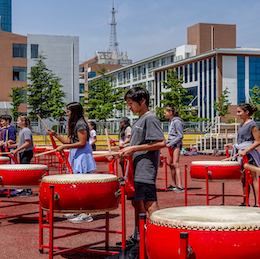 Every May, the China Experience Programme lets students in Years 7, 8 and 9 spend two weeks discovering new parts of China: Y7s go to Xian and Nanjing, Y8s to Yantai and Y9s to Yangshuo. 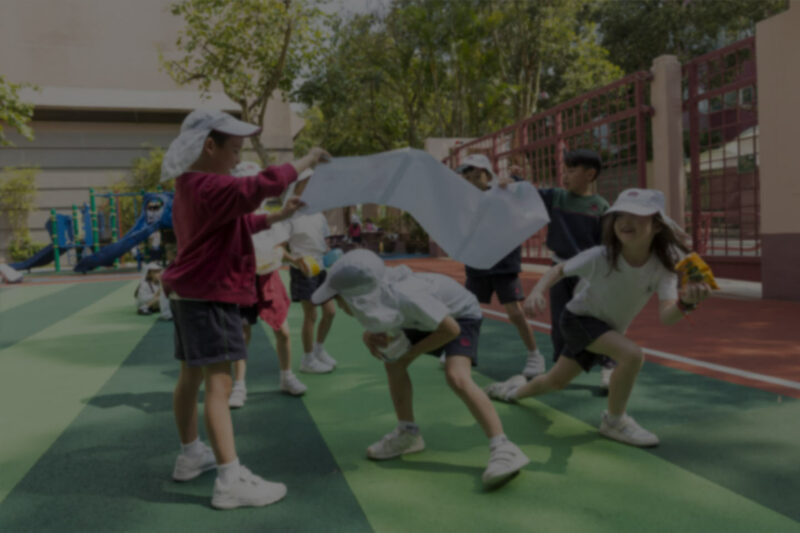 They spend half the day in class at a local partner school, and also have chances to visit local sights and try their hand at outdoor adventure and community service. 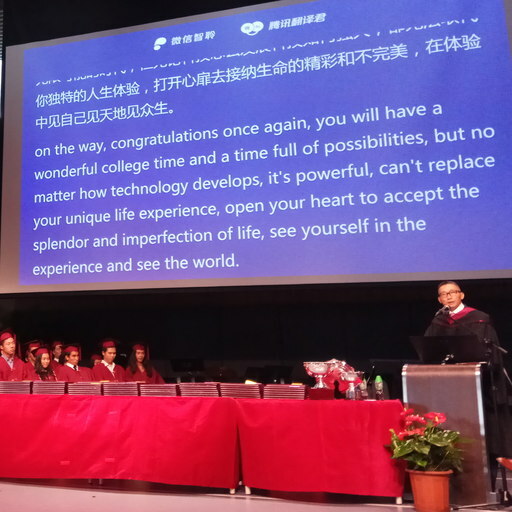 By the time they go to Hangzhou in Year 10, they're ready for a year-long experience! You'll want to remember these three women. 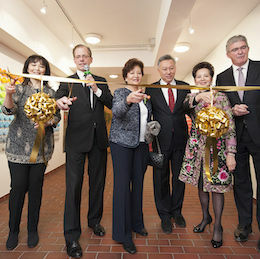 They're CIS's co-founders: Joyce Tai, Nelly Fung and Kin-yue Fu. We thank them for what they started, and we thank them for the example they set - because anyone who knows schools knows it takes smarts, determination and principles to bring such a vision to fruition. 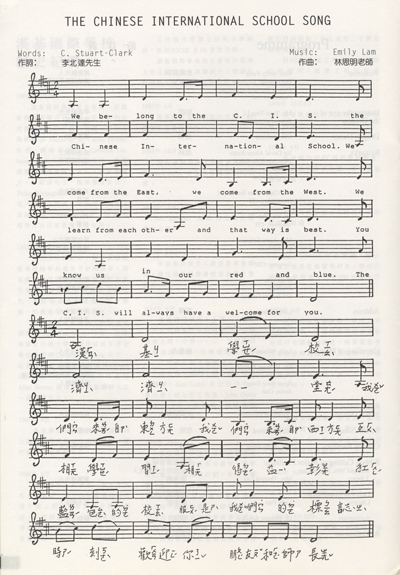 "We come from the East, we come from the West...互相學習，相得益彰". 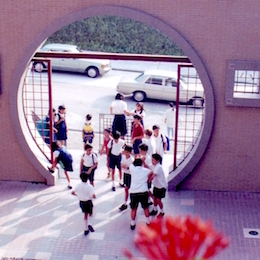 On Monday mornings you'll hear the strains of the school song, written by CIS's first Head of School and first music teacher. While just a modest ditty, it's had staying power, reminding us of our origins and the simple idea that "we learn from each other, and that way is best".